How to Download TS ICET 2019 Hall Ticket? TS ICET 2019: Telangana State Integrated Common Entrance Test (TS ICET) is conducted by Kakatiya University, Warangal on behalf of TSCHE. Aspirants who wish to appear in this exam must aware all relevant details and process of the exam. In this article, we have mentioned the application process, eligibility, important dates and pattern of exam TS ICET 2019. The exam is conducting to offer admissions in MBA. Through this exam candidates can get admission of MBA in various universities and colleges of Telangana State. The official notification will be issued shortly. Before that, we advise all interested candidates who willing to appear in this exam prepare well to crack high score. This page will help you to know more details about TS ICET 2019. Here the application form appears on screen. Now enter your details properly. AP ICET 2019 exam is held via online (Computer Based Test) mode. The total time allotted to complete the whole exam is 2 ½ hours i.e. 150 minutes. The exam consists of 200 objective types of MCQ’s. The whole exam carries 200 marks were each right answer award 1 mark. No negative marks for this exam. Completion of blank spaces etc. Bar diagram, Pie Chart, Venn Diagram etc. Correlation, simple problems on Probability. Applicants can get their admit card through online. They have to download admit card from the official website. The admit card link will be activated from last week of May 2019. It contains the details of the exam like the venue, date of exam, registered id and so on. The result will be declared in the month of June 2019. Candidates can check their result in the official site and download their rank cards. The counselling will be started in the month of July 2019. Candidates have to bring all original documents at the time of counselling. Rank Card, TSICET Admit Card, Mark sheet of SSC / Intermediate or Equivalent Qualifying Examination, Class IX to Degree Certificates, Caste & Income certificate issued on or after June 1, 2019, Transfer Certificate of Degree or Equivalent, Residence Certificate and Aadhar Card. TS ICET – 2019 Hall Tickets: Kakatiya University has released TS ICET – 2019 hall ticket in online mode. Candidates can download the hall ticket of TS ICET – 2019 as soon as possible from website http://icet.tsche.ac.in. To download the TS ICET – 2019 hall ticket, candidates may have to enter payment reference ID, registration number, qualifying examination hall ticket number, mobile number and date of birth. The TS ICET – 2019 hall ticket/admit card must be produced at the examination centre to appear for the exam. Inability to bring the hall ticket of TS ICET – 2019 may disqualify the candidates from attempting the TS ICET – 2019 examination. Candidates also have to bring the attested copy of application form and caste certificate (if applicable) to the examination centre along with the TS ICET – 2019 hall ticket. Candidates are suggested to read the full article to download TS ICET – 2019 hall ticket/ admit card and the procedure to download the same in detail. 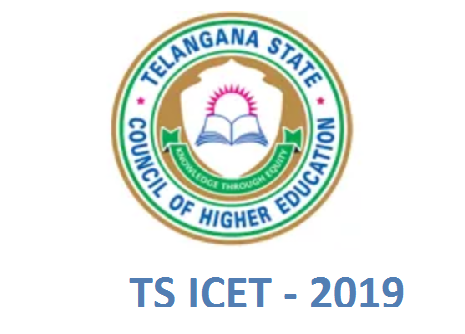 TS ICET 2019 Hall Tickets Download: TS ICET 2019 is being conducted by Kakatiya University, Warangal this year on 23rd and 24th May 2019. The candidate should download the Hall Ticket from website icet.tsche.ac.in. Kakatiya University, Warangal (Kakatiya University) has released the scheduled of TS ICET 2019 Exam. As per the schedule, TS ICET 2019 Examination will be held on 23rd and 24th May 2019. All the hopefuls attempting the TS ICET 2019 examination can download and check their hall tickets / admit cards from TS ICET 2019 official website, icet.tsche.ac.in. All the students those who are eager to download TS ICET 2019 hall tickets can download and Take print out now itself. The examination authority has released the hall ticket of TS ICET 2019 on April 2nd week. Candidates can follow mentioned steps to download TS ICET 2019 hall ticket 2019. TS ICET 2019 hall ticket 2019 will be displayed on the screen. Read and check the hall ticket for TS ICET 2019 thoroughly to avoid any mistakes in the hall ticket. If everything is right, candidates can download and take a print of the TS ICET 2019 hall ticket. Note: Candidates must carefully read all information given on hall ticket of TS ICET 2019 to avoid any discrepancy. In case the information reflecting on the hall ticket is incorrect. Officials of Kakatiya University, Warangal has released the admit card of TS ICET 2019 Exam. So all candidates who are ready to write the Written Test of TS ICET 2019 may now download Hall tickets from Their official Website icet.tsche.ac.in.